Who are Helmlinger & Bauer? Welcome to Bill’s History Corner, where sometimes I show you I don’t know what I’m talking about. This may be one of those times. 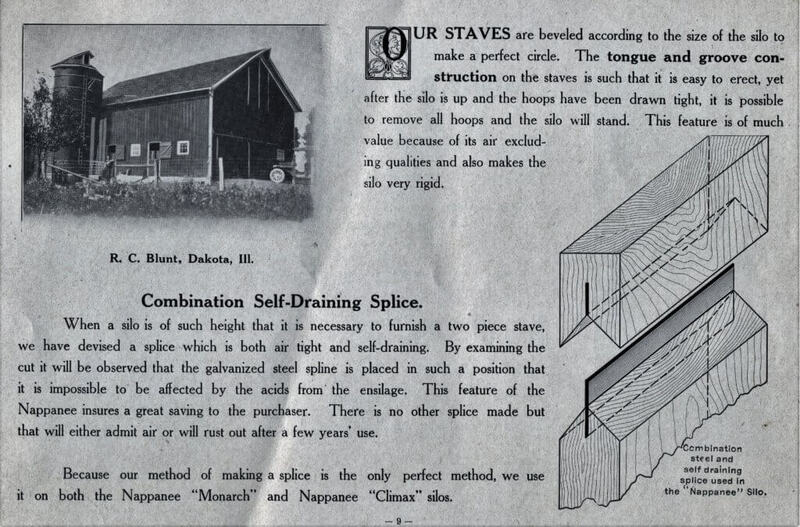 I’m showing a picture today that we have in the Coppes paper collection, but I have no idea where it came from. Maybe if I would ask everyone involved with Coppes Commons, someone might remember obtaining this picture and giving it to the collection. It does have a price of $18.00 written on the back. So if you are the person responsible for this picture, a sincere Thank You. 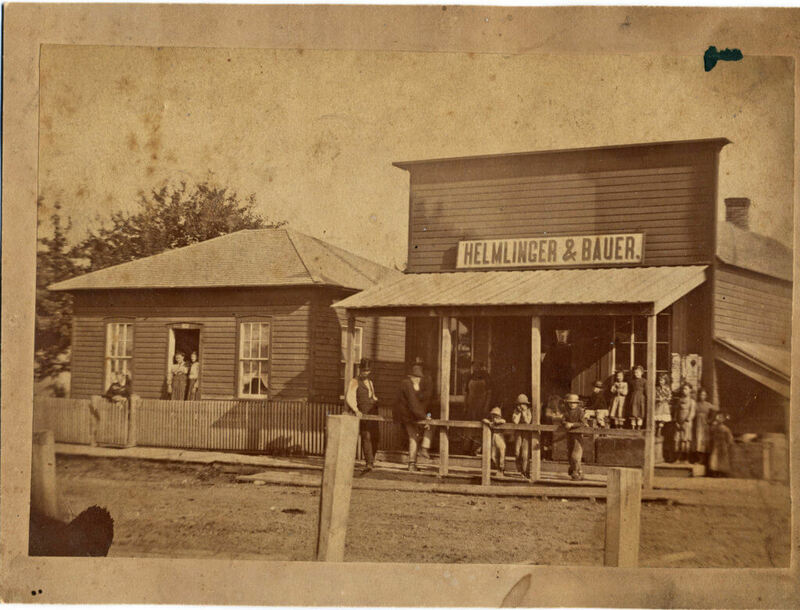 The picture itself is of two buildings on a dirt street with several men, ladies and children standing very still. The sign on the one building is HELMLINGER & BAUER. I think everybody knows the story of Locke and Nappanee, but here is a recap if you don’t remember: Locke was a thriving small town approx. 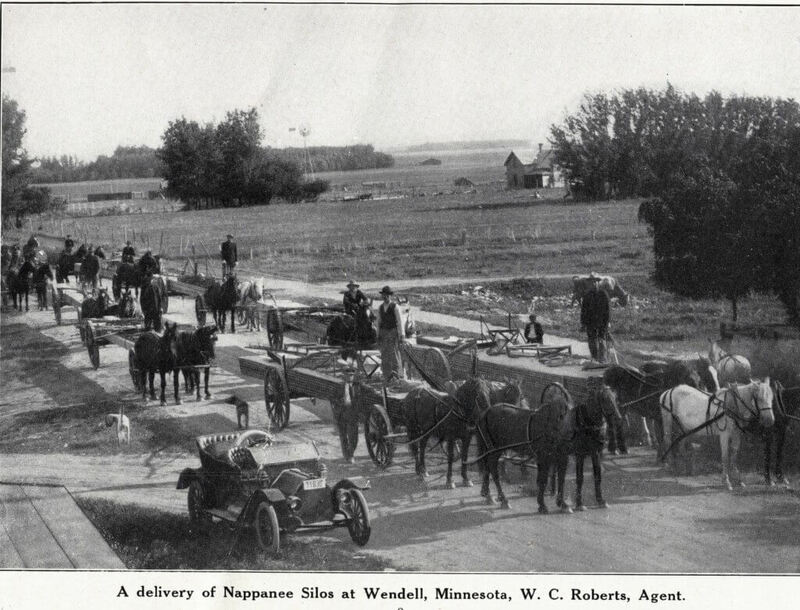 three miles north of where Nappanee is now. 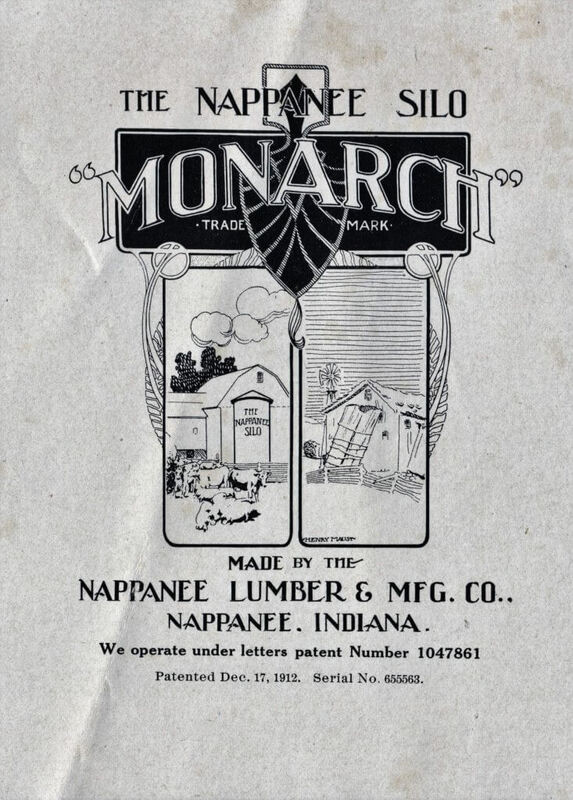 When the railroad came through the new town of Nappanee in 1875-6, several Locke businesses moved lock-stock, barrel and building to Nappanee. The railroad was the key ingredient. Because of the location of the railroad, Nappanee grew and Locke didn’t. 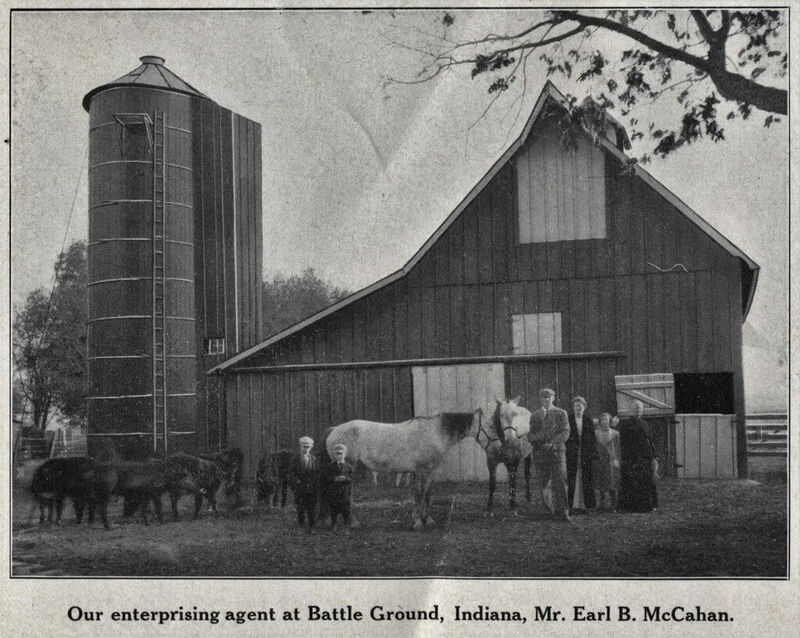 Now I’ve got to tell you there is no mention of a Helmlinger & Bauer store in the 1880 History of Elkhart County book. More information would be wonderful. What business was conducted at this store? See the man in the top hat, talking with two other men? See the man in the dirty apron standing to the left of the door? I don’t think he is a store clerk with that apron. But what do I know is that I count at least 10 and maybe 11 children on the porch. When I enlarge the photo as much as I can there is something in the store doorway that looks like a black bear’s face. I really don’t think it is a bear, but definitely a face, maybe a big long haired dog. While I’m thinking about dogs, the two ladies in the doorway of the building to the left have what looks like a black puppy’s head at their shoulder. Can’t read the sign over the door where the ladies are standing. Could be a school, the children look to be too close to the same age to be from one family, so in my mind a school makes sense. I think I can see a new bucket hanging in the store door way, That may be a clue as to the business, also I think there are ice skates hanging in the left window. Boy, I wish I gould go to this store and shop for myself at 1875 prices! Does anyone know more of the history related to this photo? 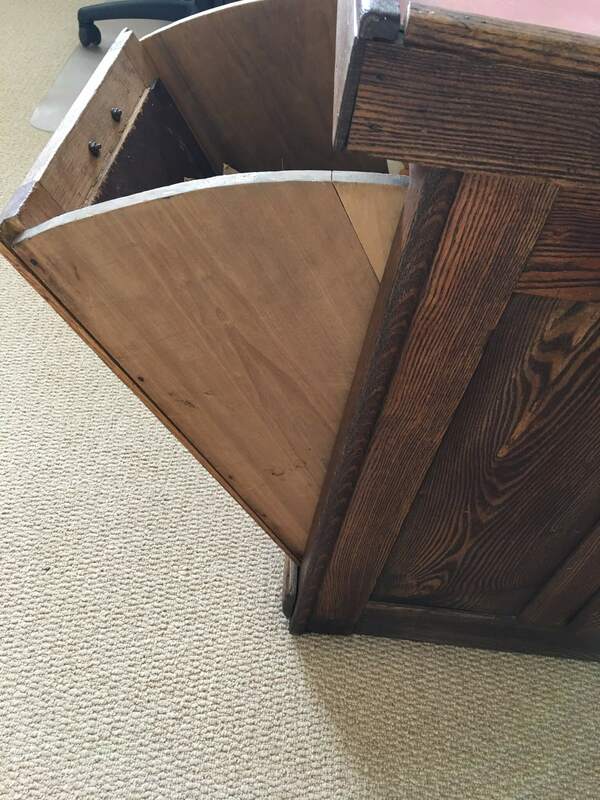 Purchased from a friend whose father in law said it had been in his family as long as he could remember. It had been painted at least four times. The flour bin is gone. 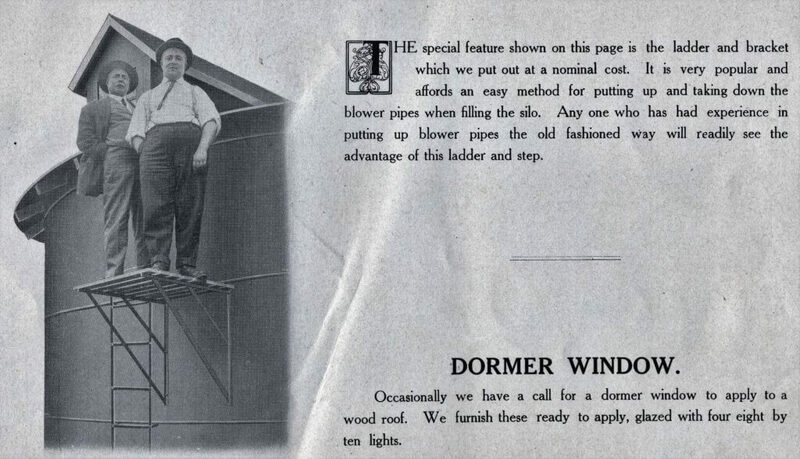 I believe it was built in the 1920s. It has the blue Napanee label on it. We stripped the paint. The original paint was gray and there were flowers painted on the doors. 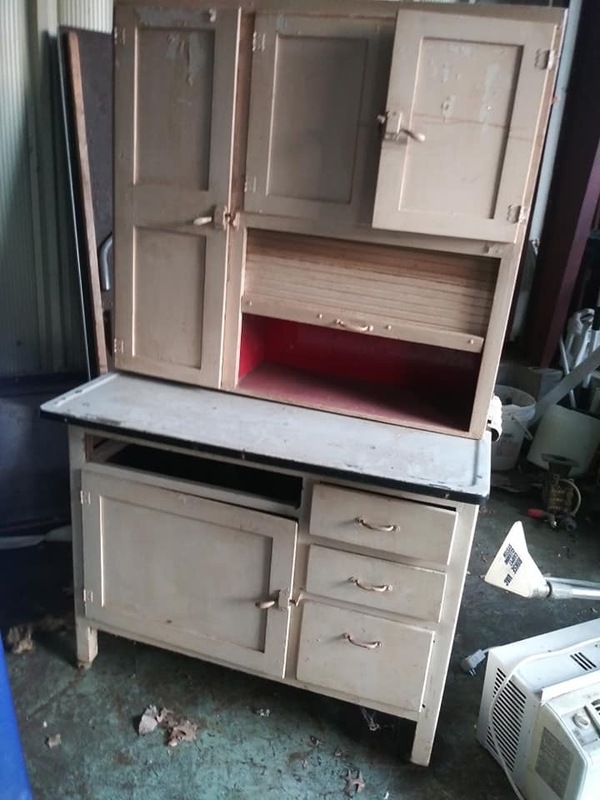 We replaced the back of the top and bottom, but kept the part that was stamped that it is Model G.
Manufactured by Mutschler Furniture in Nappanee. 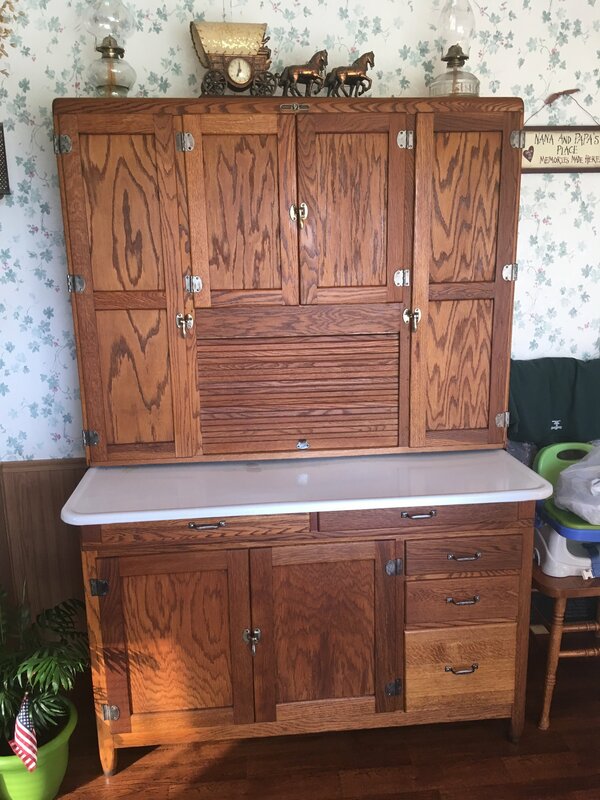 My mother was a housekeeper for Mr Mutschler and he gave her the Hoosier cabinet as a wedding gift. 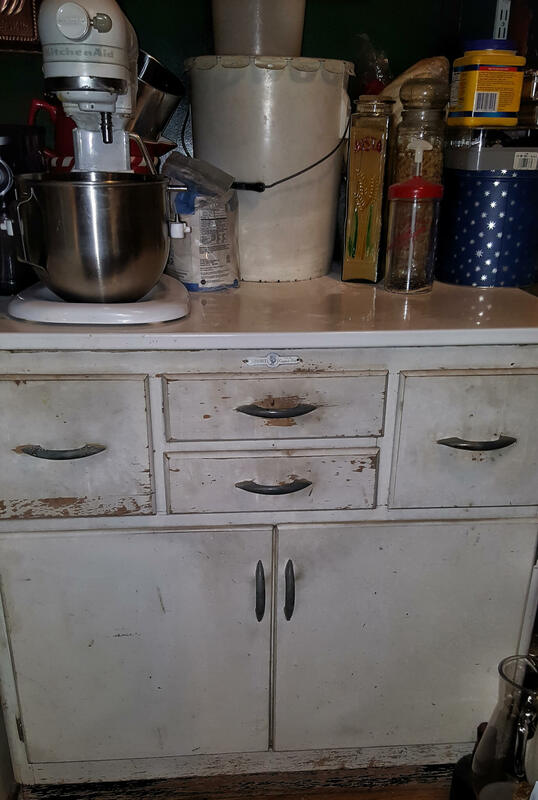 At the same time my father purchased a matching Hoosier table with a enamel top that matched the cabinet top. The year was 1936. 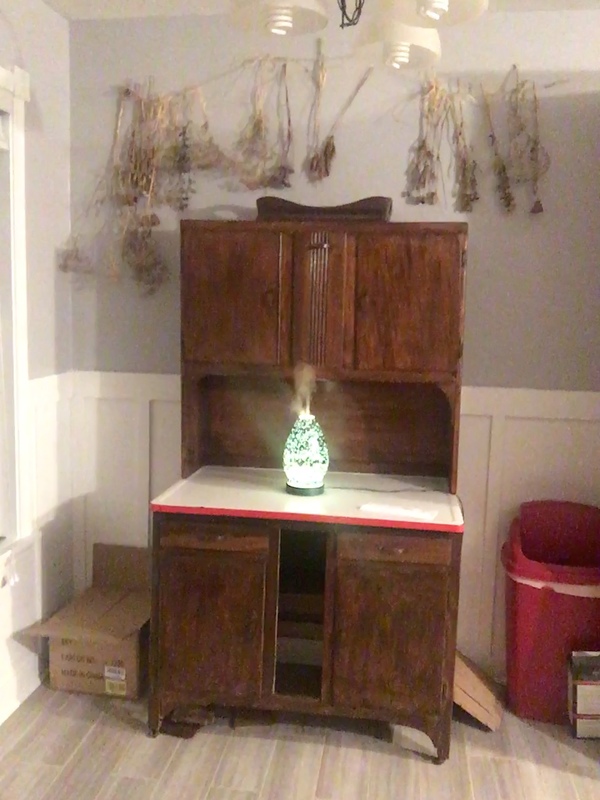 This was my Great Great Grandmas cupboard. Bought for her by my Great Grandma. Restored to its original finish by my Dad and passed on to me! 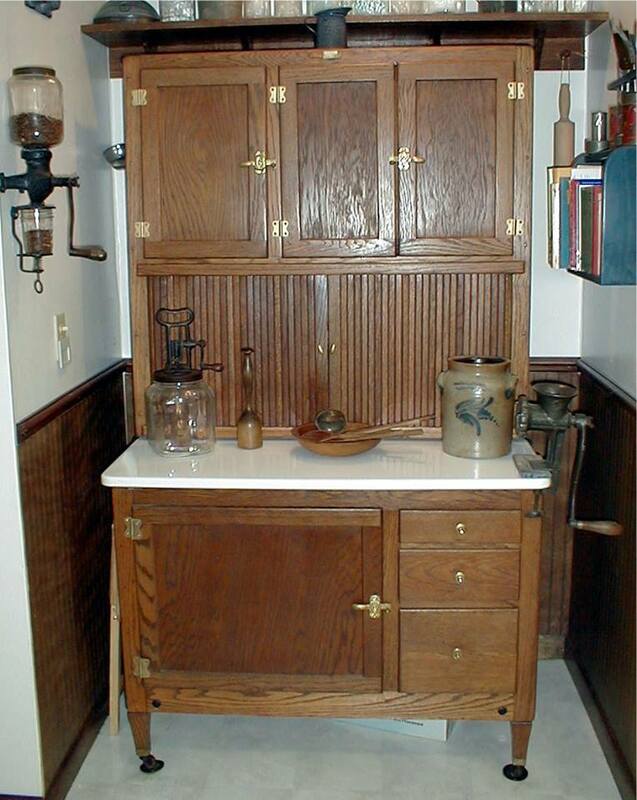 We would love to hear about your Hoosier Cabinet! Share a picture here to show us how it looks and how you decorated it, tell us the brand if you know it, how you got to be the owner, and whatever else you want to share about it. Let’s see how many Hoosiers we can get in our online collection! 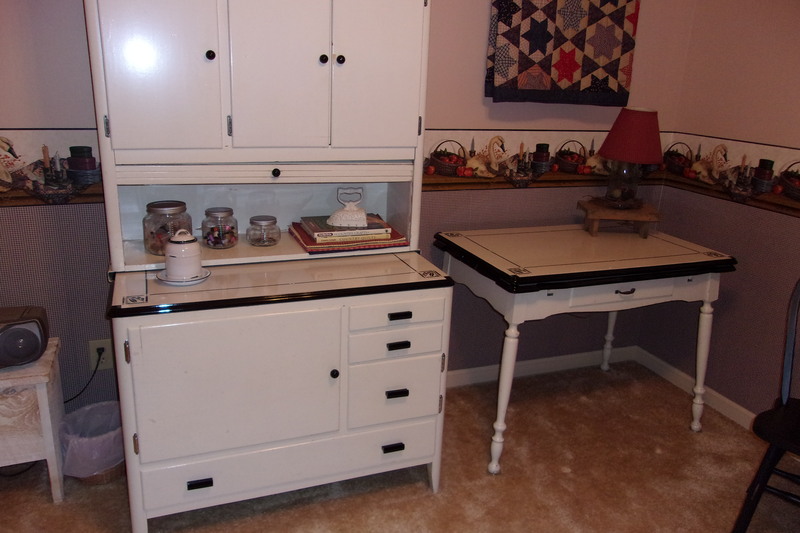 Also visit our Love of Hoosier Cabinets on pinterest. This image was submitted without supporting information.